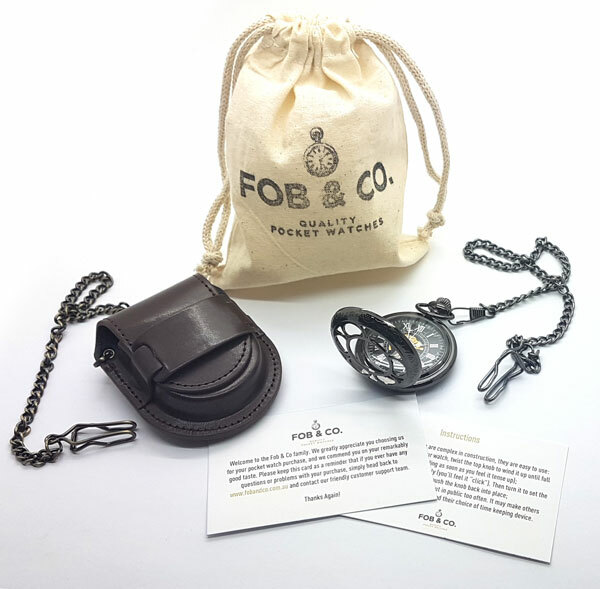 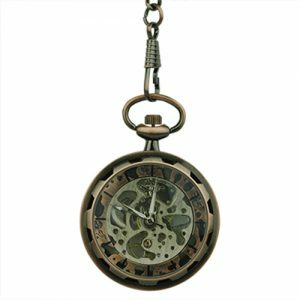 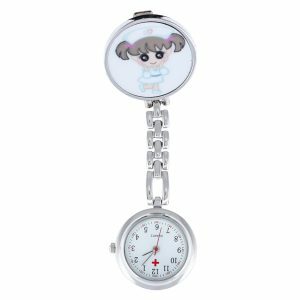 Paisley Floral Half Hunter Pocket Watch - Fob & Co. 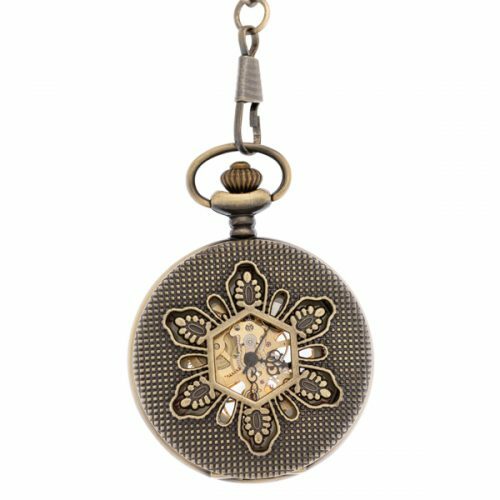 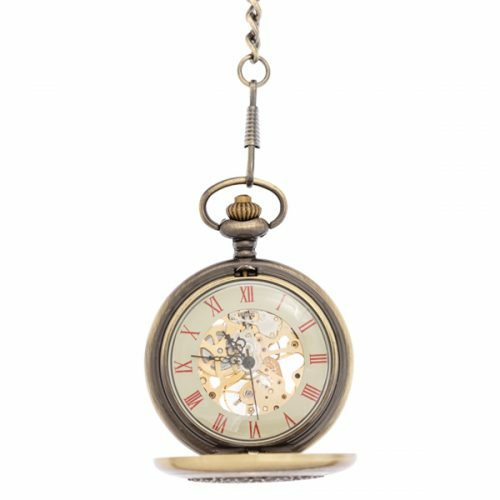 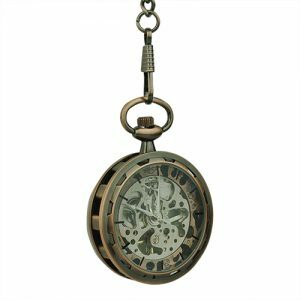 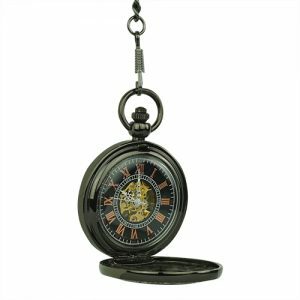 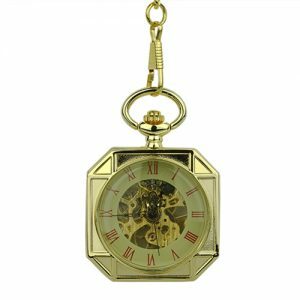 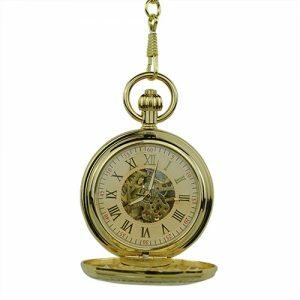 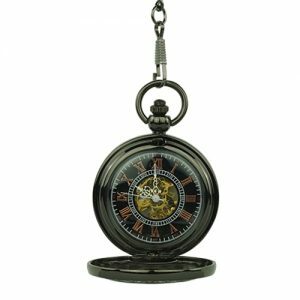 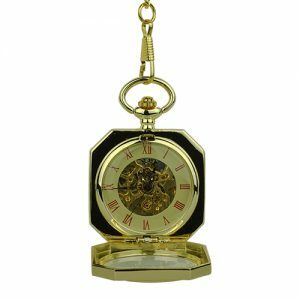 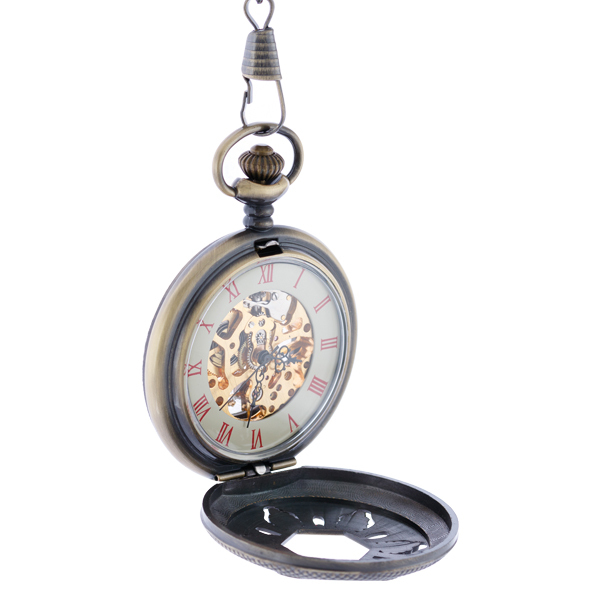 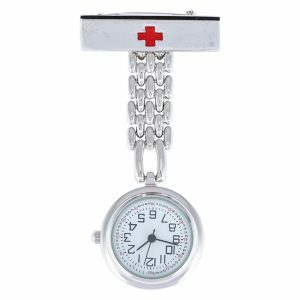 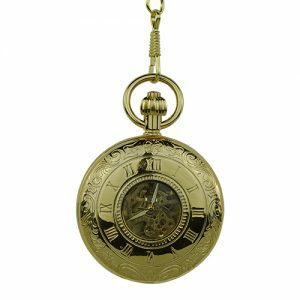 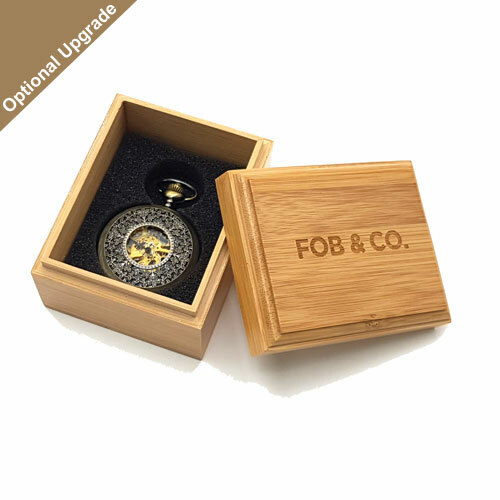 Lend a wonderfully old-fashioned look to any outfit with this elegant, brass pocket watch that features a striking flower pattern on the cover. 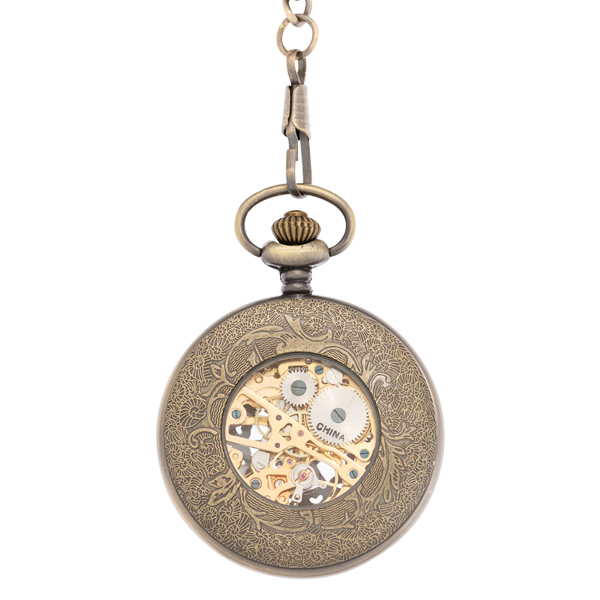 You can also see through to the inner workings thanks to a six-sided viewing window.